SANTA ROSA, Calif. (September 12, 2017) – The Sonoma County Winegrowers will launch its Center for Ag Sustainability on October 12 with an impressive group of national experts who will be meeting to identify and discuss topics that affect agriculture and Sonoma County as a wine region with the goal of developing out-of-the-box, innovative solutions to critical challenges. 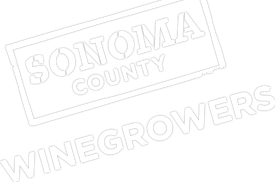 The participants, representing different industries and backgrounds, will meet four times over the next two years for a facilitated discussion on how to solve challenges facing Sonoma County’s wine and agriculture communities over the next 5-7 years. The sessions will be facilitated by Professor George Day of the Wharton School of Business. The “Ag Center” will be a strategic think tank to help develop innovative ideas and strategies to strengthen and build upon the region’s sustainability efforts and its 100-Year Business Plan to Preserve Agriculture. Understanding that it takes creative, thought provoking, and out-of-the-box thinking to solve some of the critical challenges facing Sonoma County’s agricultural community, the Sonoma County Winegrowers has created this groundbreaking program bringing together a small, diverse group of thought leaders and experts from across various business industries, subject matters, academia, job functions and skill sets, and other unique backgrounds, to problem solve and develop new, fresh ideas that will advance farming not only in Sonoma County, but may also revolutionize grape growing and the larger wine industry across the globe. The Ag Center’s 2-year program will meet 4 times for a strategic planning session on the pillars of 100 Year Business Plan to determine insights, innovations and recommendations on moving the grape growers forward. Throughout the process, the Sonoma County Winegrowers will share learning and progress broadly, which will culminate in a White Paper which will be published providing the insights and learnings to a global audience. These findings and ideas will also be incorporated into the Sonoma County Winegrowers strategic plan, marketing and branding efforts, and other areas of the organization that will guide their focus on the preservation of agriculture. Learning, best practices and potential solutions will be shared more broadly to other Ag communities and wine regions.